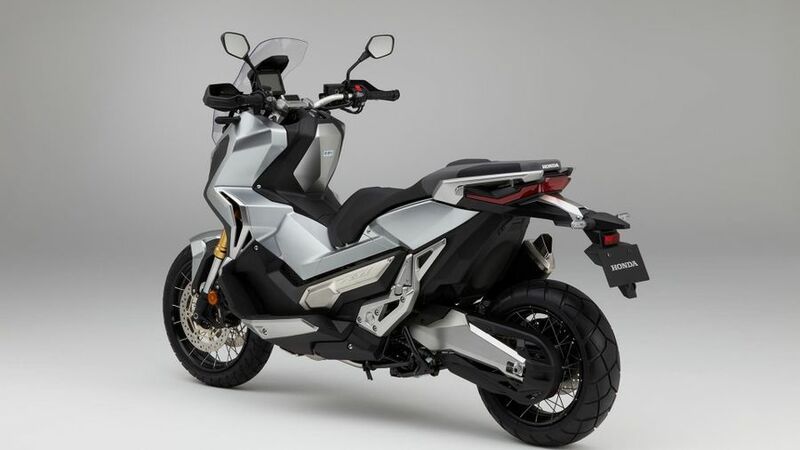 Interested in buying a Honda X-ADV? 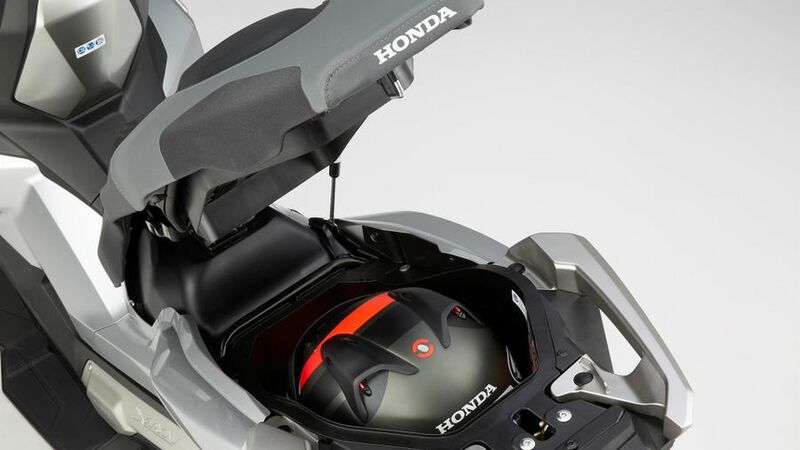 How can you not admire, love even, the sheer boldness of Honda's 'adventure-scooter' concept. 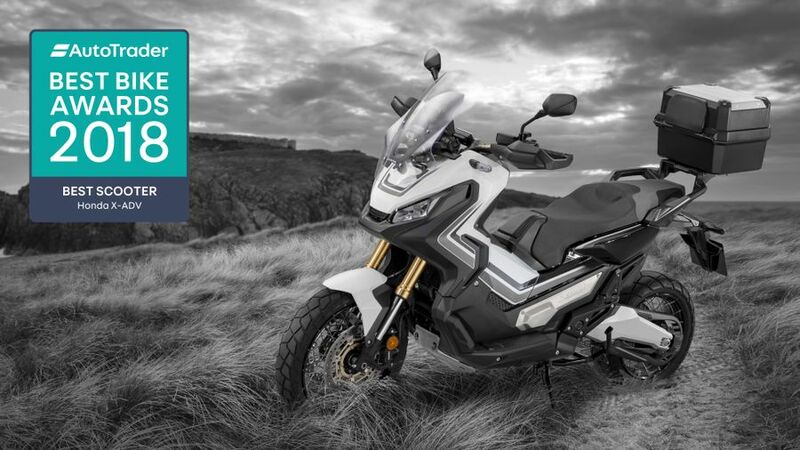 Essentially the X-ADV is the already innovative NC750 Integra scoot, complete with Honda's pioneering semi-automatic DCT transmission, but with longer, off-road suspension and tyres and a rugged restyle including crashbars. The result is a tall scooter that, thanks to added motorcycle footpegs, you can also take off-road. Well, a bit. Yes, you can argue that it's neither a great scooter or off-roader as a result but you can't deny it's a lot of fun and we're so glad it exists. Essentially the same as the feet-forward, maxi-scooter Integra but with added height thanks to the off-road style longer travel suspension (which is great for the rider's viewpoint in traffic and adds some extra stature and style as well. What's more, the addition of alternative, conventional motorcycle pegs means you can ride 'standing up' for gentle off-road excursions, at which point the X-ADV simply becomes hilarious (although it does take a little bit of getting used to, as well). Depends on how you look at it. Some cynics may view an' adventure scooter' as about as much use as the fabled chocolate teapot but we prefer to be more generous: with conventional scooter commuter practicality, Honda's slick switchable DCT transmission (which brings a degree of sports fun to the mix) plus a degree of genuine off-road entertainment available you could also easily argue that two wheelers don't get more versatile. No scooter is really about performance, not even sports maxi ones such as Yamaha's class-leading TMax, so the more commuter-orientated Integra, which acts as base for the X-ADV, was always going to be lacking. That said, its 745cc parallel twin still produces a useful 53bhp making it good for around 100mph; the Sport setting on the DCT transmission, along with switchable gears adds a touch of excitement and pizazz and the twin front discs are strong and reassuring. Although based on a scooter the X-ADV has few of the compromises normally associated with them. 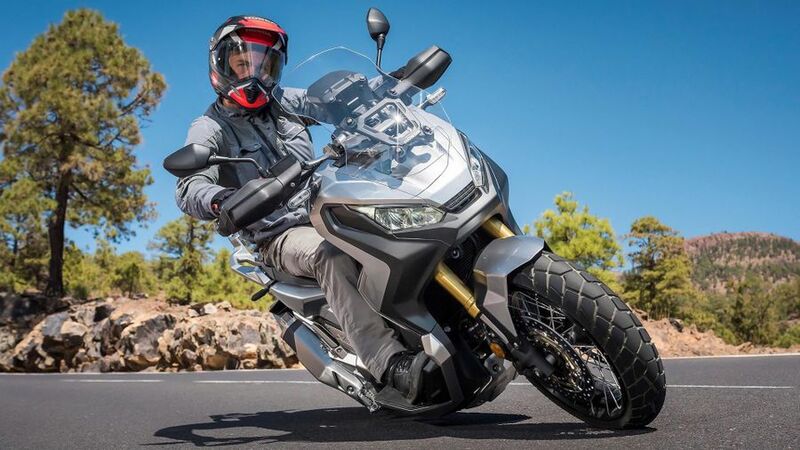 With bigger, 15in wheels there's plenty of motorcycle style gyro effect for stability; having longer suspension aids ground clearance and on the whole it's easy to ride and reassuring - typical traits of a well-developed Honda. On the slight downside, at 238kg, it's quite heavy (although most of that is carried low down) and those semi-knobbly tyres don't offer the grip of more road-dedicated hoops although in day-to-day riding most would never notice. Again, although the X-ADV is a novel concept, there's no reason for warranty or servicing concerns. Warranty-wise it benefits from Honda's usual two-years/unlimited mileage manufacturer backed warranty for parts and labour. 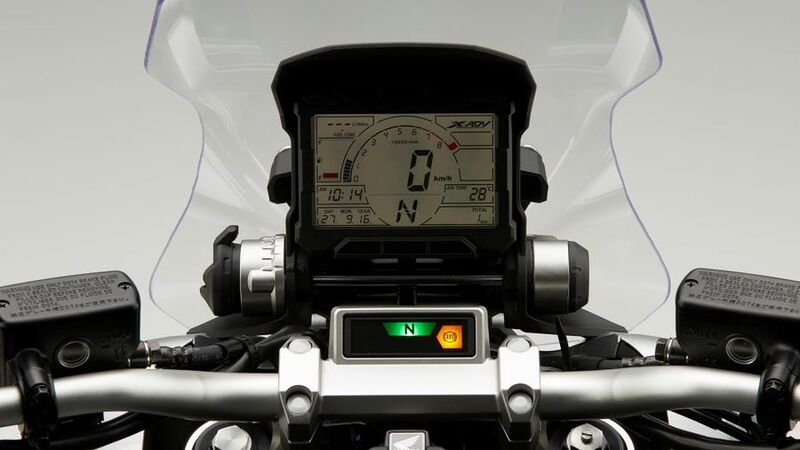 Similarly, servicing-wise, the X-ADV benefits from fairly wide service intervals as well, with minor checks every 8000miles and big, top-end services only every 16,000 miles. 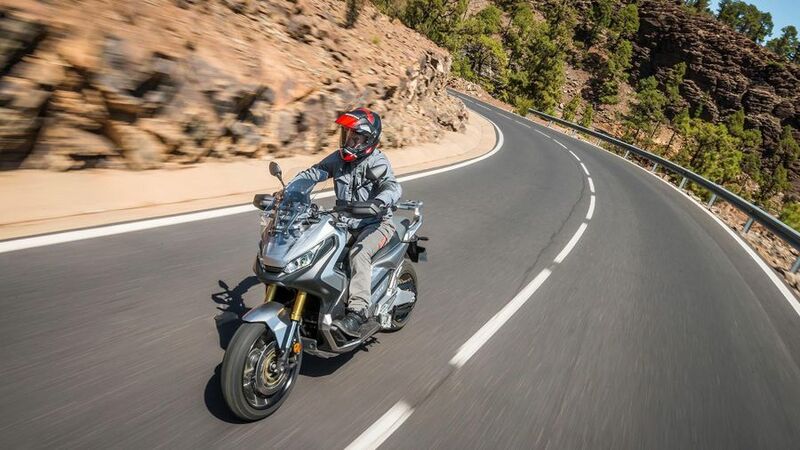 Despite the impression the overall bike gets, the X-ADV isn't exactly smothered in high tech equipment and gimmicks - that's another side of Honda for you. Yes, there's ABS, two different transmission settings (Drive and Sport), an adjustable screen and you get the usual scooter storage compartment under the seat - but that's your lot. No traction control and no heated grips - although its handguard will help deflect some of the cold in winter.